Based on a proprietary technology, we consider this as the best low-cost equipment on the market for the first steps in the underwater acoustics. The Aquarian Audio is a high-performance hydrophone that offers exceptional versatility in a wide range of applications. It currently is in its third generation of rugged and portable systems. The first units were originally conceived as recreational devices for sea kayakers wanting to explore with a device that was convenient to use and could withstand elements at sea. 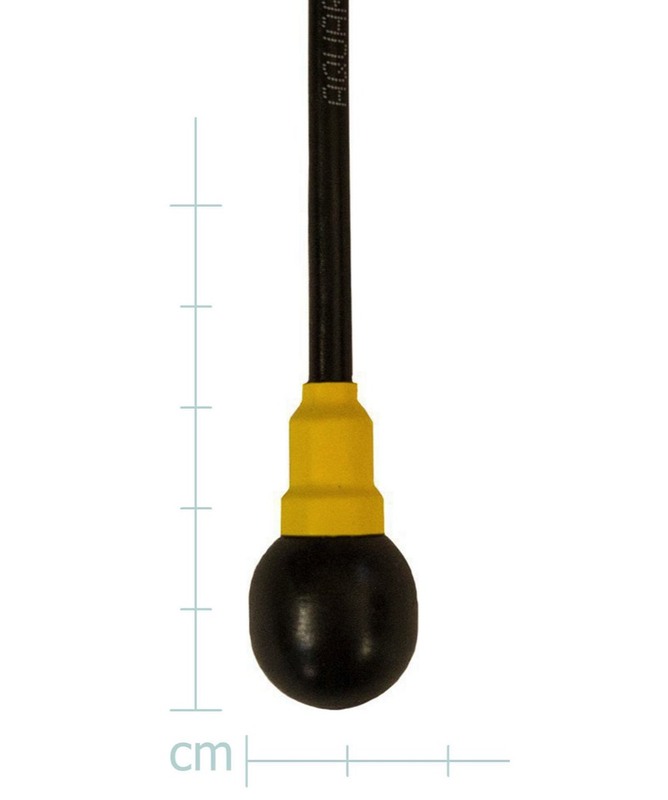 The Aquarian hydrophone system has evolved to fit the needs of professionals while being even smaller, tougher and easier to use than its predecessors. You CAN even use it as a contact microphone in free air: The Aquarian hydrophone system also works exceptionally well as a contact microphone by simply attaching the hydrophone (with a special adapter) to the media. The Aquarian system offers a low-noise preamplifier and is very sensitive. It is easy to integrate into virtually any recording or amplifier system. The embedded preamp within the hydrophone will drive cable lengths up to 250 meters with negligible signal degredation, allowing you to use the system for remote listening. • Proprietary sensor design and high-gain amplifier components give the user much higher sensitivity than many systems costing hundreds more. 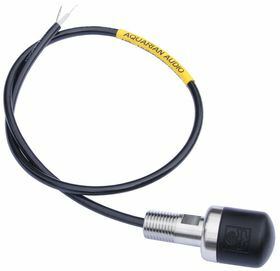 The H2a hydrophone is the same transducer assembly used with other Aquarian Audio hydrophones, with a FET buffer preamp built into the hydrophone. It is designed to be compatible with electret-condenser microphone inputs that are found on many consumer and professional electronic devices. 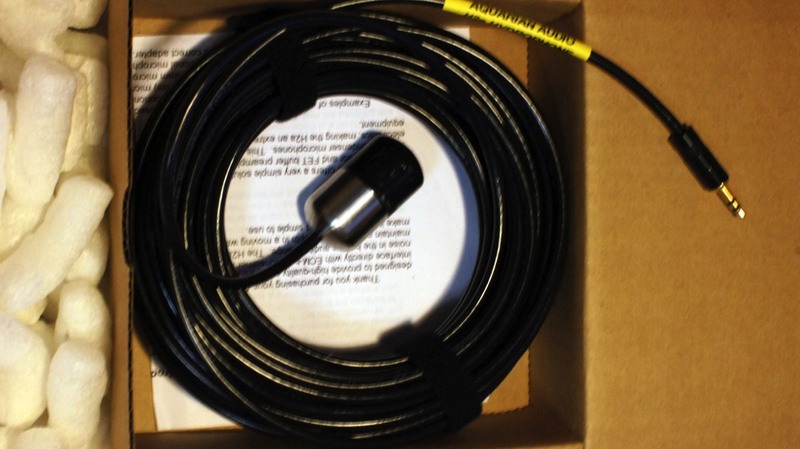 This makes the H2a an extremely versatile hydrophone because it can be connected to a broad array of devices without requiring a power supply or adjustments of its own. The H2a offers true plug-and-play convenience with computer sound, minidisc, tape, and digital recorders. It can also be used with wireless lavaliere microphone transmitters and camcorders. Any device with a 3.5mm (mini) microphone jack is very likely to be compatible with the H2. Using appropriate adapter plugs, the H2a can also be used with wireless phones and radio transmitters. The H2a is stocked in different lengths. Longer cable lengths can be custom ordered. The H2a is also available with an XLR output. Phantom power is required. 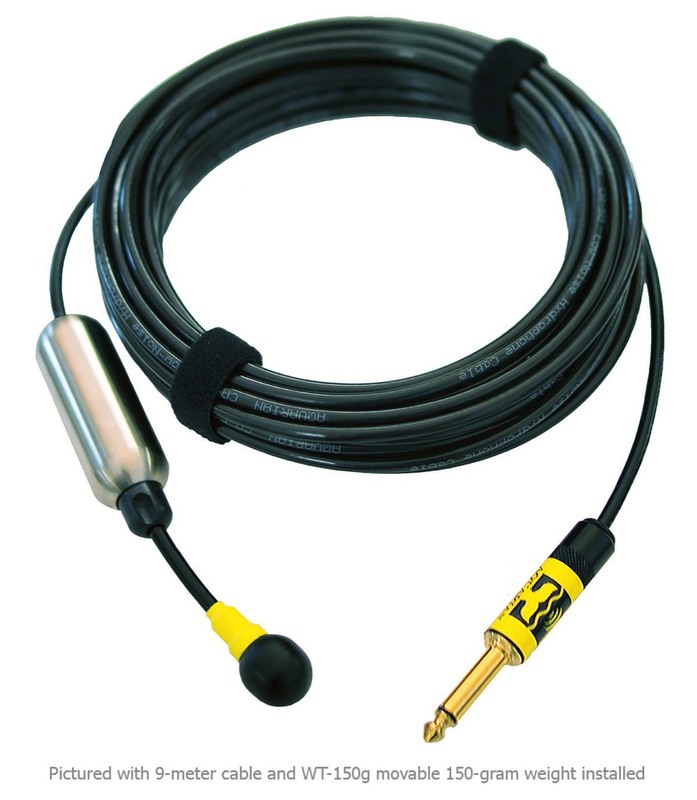 Hydrophone for use with ECM-type microphone circuits: computer sound cards, audio recorders, cam-corders and more. 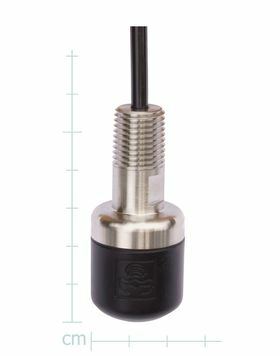 Has a 3.5mm TRS output plug (miniJack). Anything that works with a condenser microphone will work with this hydrophone also. important notes: Aquarian Audio H2a hydrophones have currently not been tested with measurement instruments, and so their use in scientific experiments, where sound intensity has to be measured, is not recommended. The H2a sensor is manufactured to withstand pressure down to 80 meters of depth, and must not go below this. Thread-mount version of our popular H2a and H2a-XLR hydrophones. 1/4" NPT (National Pipe Thread) with 7/16" (12mm) wrench flats. Standard configuration includes 1/2-meter cable with stripped and tinned wire termination. Plug-in power or phantom power is required and may need to be switched on in your preamp or recorder. Custom cable lengths are available on request. 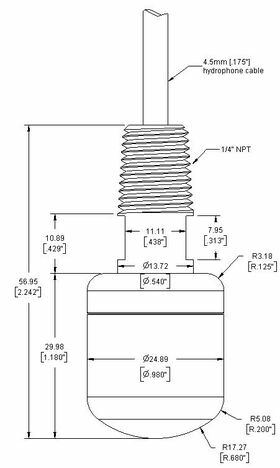 Please note: The 3.5mm TRS output plug is the only connector that will fit through a 1/4" NPT female mounting hole. If you intend to use the pipe mount and require an XLR connection to your preamp, contact us about installing a small pin connector inside of the XLR plug for solderless removal and replacement, or install 3.5mm TRS connector and use the H2a > XLR adapter. Leave notes about your application so we can be sure to correctly install your cable and connector. important notes: H2c units are available on request and are not listed in our standard e-commerce. We usually have a small stock of them available. Please write to info@nauta-rcs.it to have pricing and availability.